The word "history" does not sound much in place here, because compared to other bonsai clubs we are just being born. Here is some information about Bonsai Culture Group in Malta. The foundation of the Bonsai Culture Group. Mr. Joe Casha and Mr. Carmel Busuttil co-founders of the Bonsai Culture Group, first met at tal-Handaq Junior Lyceum for boys in 1984. When Mr. Casha asked Mr. Busuttil if he could help him set up a Bonsai Club in Malta, the latter showed little interest. Early in 1991 Mr. Edward Sammut, president of the Friends of Japan Association asked Mr. C. Busuttil if he could lend his trees for a Bonsai exhibition to be organised as one of the activities of the association (of which Mr. Busuttil happened to be a member). Mr. Busuttil told Mr. Sammut that he was not sure he had enough trees for the occasion but if Mr. Sammut agreed he would ask a friend of his to take part in the exhibition with him. Mr. Casha accepted and the first Bonsai Exhibition was held at Palazzo Costanzo, Mdina, on the 8 and 9th June 1991. Hundreds of people visited the exhibition. Many asked if they could be enrolled as members of the Bonsai society. The organisers had to keep on repeating that a Bonsai Society did not exist and all they could do was take down names and addresses just in case a bonsai association would be set up. The Bonsai Culture Group foundation meeting was held at Mr. Joe Casha's residence on the 13th November 1991. A statute was drafted and a yearly bonsai exhibition has been held ever since. In 1952 Mr. Joseph Busuttil was employed as a gardener at Argotti Gardens, he worked there until he retired. There he learned well the gardening skills. Joseph was a member in many clubs regarding Agriculture and Horticulture. 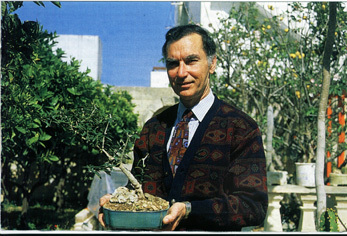 His interest in bonsai started more than fifty-years ago, at that time few if any knew anything about bonsai in Malta. Although he was a shy person and so didn't like to give lectures in public, Joseph still passed his information to others by his articles on magazines such as ' Is-Siggiewi ', ' St. Nicolas Band Club' and other local magazines. Joseph Busuttil is regarded by us bonsai Maltese enthusiasts as the father of the Maltese bonsai lovers. Mr. Joseph Busuttil joined the Creator on the 2nd January 1998. Mr. Joe Casha was the first person in Malta to see his dream come true and established the first bonsai group in Malta. He was willing to see this interesting hobby take root here in Malta, and when the opportunity arose he took it seriously. We owe the club thanks to the work that he had done together with Mr. Carmel Busuttil. He served as the President of the club for four years. Mr. Joe Casha is a teacher an artist and a sculpture, he also designed and made some of his own very original bonsai pots. 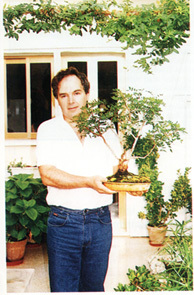 Mr. Carmel Busuttil is one of the founders of the Bonsai Culture Group. 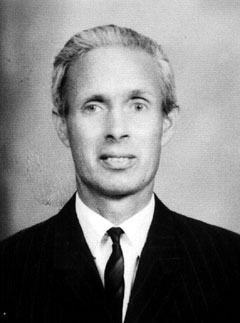 He is a teacher at the tal-Handaq Junior Lyceum for boys. Mr. Carmel Busuttil served as the secretary of the Bonsai Culture Group for eight years, now he left his place due to other responsibilities and is a very keen and active member. He gave a lecture to the BCG members on the origins of bonsai, and wrote an article in Maltese "L-origini tal-Bonsai" that was published on the 1997 Annual Exhibition leaflet .